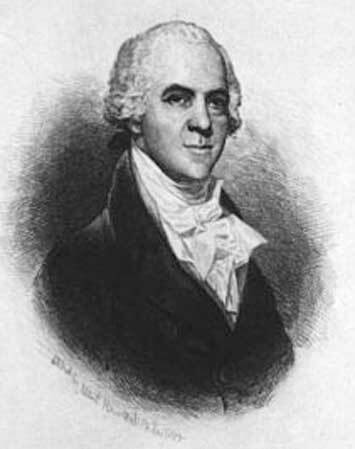 Dr. George Logan of Pennsylvania attempted to normalize relations with France. He entered into negotiations with France, without authorization, in the hopes of resuming normal relations. In 1799, Congress passed legislation outlawing such contacts between foreign governments and private individuals. The law remains on the books to this day. In early 1807, a British squadron was stationed off the coast of Virginia. They were there primarily to intercept French frigates, which had taken refuge in Annapolis, Maryland. From time to time, the British vessels made use of American port facilities. British sailors were constantly deserting their ships. This became a major irritant to the British. Three deserters were said to have enlisted on the American naval frigate "Chesapeake." The British protested, and the Secretary of Navy ordered an inquiry. This inquiry confirmed that three deserters from the "Melampus" had indeed enlisted on the "Chesapeake," but it was determined that the sailors were Americans who had been illegally impressed. This was transmitted to the British, and the matter seemed to be at an end. Nevertheless, the British commander in charge of the North Atlantic issued an order to search the "Chesapeake" for deserters, if the ship were encountered at sea. The "Chesapeake" was commanded by Captain Charles Gordon, and had Commodore Barron on board. On June 22, the ship departed from Hampton Roads, headed for the Mediterranean Sea. At 3:30 p.m., the British frigate the "Leopard" came down before the wind. The crew hailed the "Chesapeake," stating that it had dispatches for the Commodore Barron. Barron replied "We will heave to and you can send your boat on board of us." At 3:45 p.m., the "Leopard's" Lieutenant Meade arrived with the following note demanding that the British deserters be turned over. Since the deserters from the Melampus were not on the list submitted, Captain Gordon believed that his assurance would suffice, and sent back a stern reply to the British. After the British officer had departed, Barron showed the notes to his other officers. While he felt that the matters was closed, he realized that some show of strength was appropriate. Therefore, Barron ordered Gordon to clear the gun deck. Unfortunately, it took 30 minutes to prepare the "Chesapeake" for battle, and the British officer returned to the ship only five minutes later. Barron was hailed. Trying to obtain more time for his crew, Barron replied that he did not understand. The "Leopard" then fired two shots across the "Chesapeake's" bow, followed by whole broadside at nearly point blank range. The "Leopard then poured two more broadsides into the "Chesapeake," while it was still unready to respond. Commodore Barron then ordered the flag to be struck. Several British officers then came aboard and seized the three Americans deserters from the Melampus. They also found a true British deserter, named Jenkin Ratford, who was serving under an assumed name. Ratford was later hung. The attack on the "Chesapeake" stirred America into a war fervor. If anyone but Jefferson had been President, this incident would probably have been enough to begin a war.